Which horrors are revealed and which are vanquished by the return of light to this pit of secrets? The gang discovers the source of the noise deep in the Earth and reunite with an old acquaintance as discord spreads between them, believing this to be their final moment. Flame ON! is the all-gay, all-geek podcast. Tune in as we dish on the latest in pop and queer culture. Do you want your neighbors to be green with Backyard Envy? Then don’t you fret, The Manscapers are here to save the day! Pat the Talking Bear Skin Rug sits down and chats with the stars of Bravo’s newest hit makeover show, Backyard Envy: James DeSantis, Melissa Brasier, and Garrett Magee. They discuss how they became such close friends, how The Manscapers came to be, as well as the birth of their hit show. New episodes of Backyard Envy air Thursday nights on Bravo at 10/9c. Check your local listings so you won’t be green with envy when your friends are sharing the best memes and GIFs around! Sit back and get ready to FLAME ON! I’d love to see your private media! Dating apps – we have them and we use them, but what do we really get out of them? Beejay leads another personal conversation about living our best gay lives while messaging from behind a glass screen. The boys dive into what makes a good conversation starter, the best types of profiles and what they’re looking for when checking out other guys on their phones. Plus, Pat and Josh play a guessing game to see if they can figure out what dating apps Beejay currently has on his phone all in this next Gay Life installment! In this episode, we go full RP-crazy, delving deep into the overwhelming variety of current crises looming over our “heroes.” After last episode, they have injured and casualties and Forsha to deal with as well as a host of competing high-risk interests, including the introduction of our first Patreon-created custom NPC! 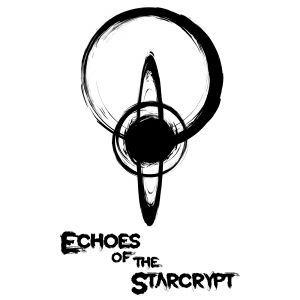 It’s great fun and tons of laughs this week on Echoes of the Starcrypt Part 5! Sometimes Brandon gets angry and unleashes his rage on the unsuspecting masses. Does he need to be on meds? We certainly think so! 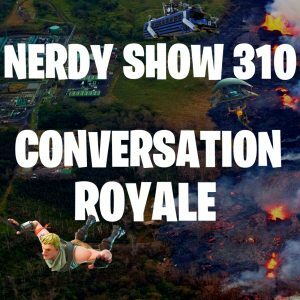 Join Cap, Bor, Brandon and Jon as they discuss the inadequacies of E3 before it even happens and the current trend of seemingly endless “Battle Royale” style games popping up everywhere. Oh, but there’s so much more! Come follow us down the volcano hole of horrible terminology as we struggle to create better names for horrible ways to die. In this episode, we take 99 don’t give a humps and toss them right out the bus for your ever shrinking attention span. This is going to be one swirling storm that your ADD just won’t be able to handle! Flame ON! is the all-gay, all-geek podcast. Tune in as we dish on the latest in pop and queer culture! Drag Is The New Spandex is back with a brand new episode! Oral and Pat welcome THE comedy queen of Orlando, Miss Addison Taylor, to the podcasting studio and invite her to dish the dirt with us! We start the show with Oral gushing about FINALLY getting to see Addison perform her “Call Me Maybe” mix during one of his trips to the Sawmill Campground, Resort, and Spa before we move into learning how this legendary Orlando comedy queen began her career in drag, and her journey to winning the Miss Comedy Queen title before becoming co-owner of the pageant! From there we talk about the current state of drag and how Addison relaxes on those short breaks between gigs. Before we close out the show, Oral gets a dose of drag queen knowledge as he prepares to begin his very own journey into drag and comedy!